Onto this weeks Meal Planning with Mrs M. I did the grocery internet shopping Sunday afternoon while at my Mums house, showing her how easy it was. My Dad actually does their food shopping. They live a stones throw from a large Tesco supermarket and he visits it at least twice a day! I'm not so lucky, or have the time to go every day (or if I'm honest the inclination!) 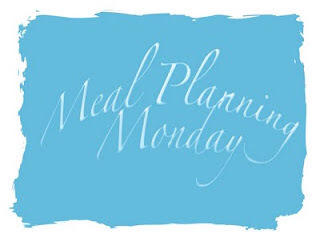 So meal planning is a must! Plus it helps me lose weight, 4 pound this week to be exact. A step in the right direction! I'm quite looking forward to the meals this week. I've included some processed food in there, like the chicken steaks and fish fingers to help with the effort of cooking, because it's still a struggle. However it is making me move and stretch, so can't be bad. Don't forget to check out the other plans over at Mrs M's and why not join in yourself. You can always leave a comment with your meals if that helps. 4lbs is a gigantic step - well done you! And glad your recovery continues apace.